The more you do to protect your belongings, the longer they will last and the better shape they will maintain. Some of our most valuable possessions aside from our house include our vehicles, so don’t forget your golf cart when it comes to protection! One of the best ways to preserve the life of your golf car is with a golf car cover, especially if your cart is kept outdoors. Golf car covers shield your cart from weather. They also keep it clean and free of bird droppings, tree sap, dust and dirt. They even protect your finish from dulling due to harmful UV rays. 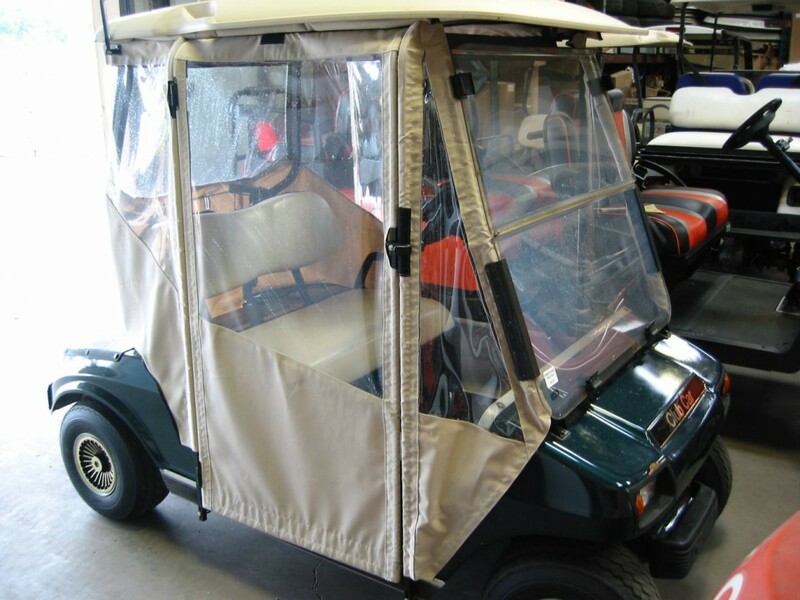 So if you want to keep your finish nice and ward off any unwanted rust or other wear and tear from the elements, consider purchasing a golf cart cover. There’s actually even more good news. Golf car covers have evolved over the years and now come in every style and model. They are made with easy-to-clean, anti-scratch materials that are also breathable and vented to prevent moisture build-up. Most are mold-resistant, weather -resistant, fade-resistant, stain-resistant and they come in a variety of colors and designs. They usually even come with a warranty. Golf cart covers make a great gift for your favorite golf cart owner or for you (maybe you are your favorite golf cart owner – lol)! So give yourself some peace of mind and maintain the value of your golf cart or the cart of someone you love with the small investment of a golf cart cover. You won’t regret it!